In the first part of this post we saw that David calls out to God for vindication. It is clear from these verses that the crisis he is facing is not simply to do with reputation. The threat is all but overwhelming. David is surrounded by callous and wicked men who are hungry for his destruction. His life is in danger and so he cries out to God to rescue him. There are many Christians who face similar trials today because they follow Jesus. In the West, Christians may not experience persecution in the same way but we still have an enemy who is intent on our harm. I’ve reflected more on Christians and their enemies here. Jesus taught us to ask God to “lead us not into temptation and deliver us from the evil one”. We can and should pray for ultimate deliverance in the form of forgiveness and eternal life but also for “little deliverances” from sin and/or circumstances so as to life a life worthy of the gospel. David knows who God is and what God has done in the past. He has heard about the plagues that forced Pharoah’s arm, the passover, pillars of fire and cloud, crossing the Red Sea, defeat of the Egyptian army, provision of manna and much more besides. We have the same demonstrations of God’s love and faithfulness and more…so much more. It boggles the mind the think about Jesus as the fulfilment of this psalm. He is both the King who was rescued from death and the King who would rescue his people from death. All of this is possible through God’s display of miraculous covenant love in raising him from the dead. 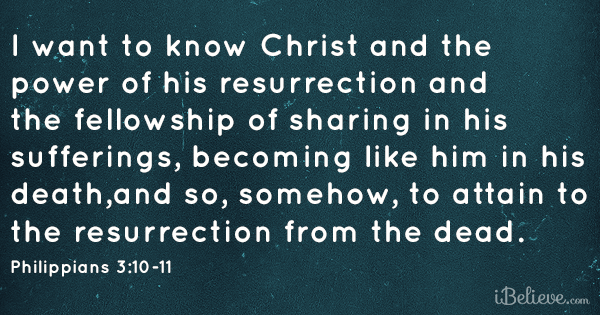 How David would have rejoiced to see Jesus! His life, death and resurrection are the greatest demonstration of miraculous power and love that we could ever wish for. It is this wondrous love that gives us confidence to pray for God’s intervention and continued faithfulness to his promises today. Initially I read v15 as a poetic way of saying that David will see God’s saving intervention in his current circumstance. When I read it again I changed my mind. I think David is expressing a far more literal expectation that whatever happens in this life, he will see God’s face in the life to come and then he will be vindicated and be satisfied. The reason I think this is because of the way the wicked are described in v14. They are those “whose reward is in this life”. In v15 David contrasts the aims of the wicked with his own. The wicked hope for nothing beyond this life. The reward of the righteous is to see God’s face. Many Christians have cried out again and again for deliverance from their enemies. Some have experienced that deliverance and others have not. David knew this full well. He knew that God had not guaranteed his safety and so even though he asks for God’s intervention, he knows that it may not be His will. God has not promised that we will not suffer. However, we know that whatever happens, however God answers our prayers, we will see his face…and be satisfied.